Are you tired of wasting money on buying coffee filters all time? Get reusable filters instead! The refillable coffee filters will let you brew the fresh ground coffee each time you want. 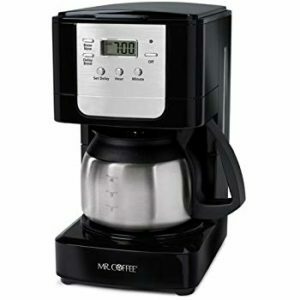 It can produce robust coffee perfect for your taste, plus it’s hassle-free! Learn more about the best reusable k cup below. Why Purchase Reusable K-Cups and not Single-use Pods? Now that you have an idea about refillable filters, it’s time to check out the best products on the market. 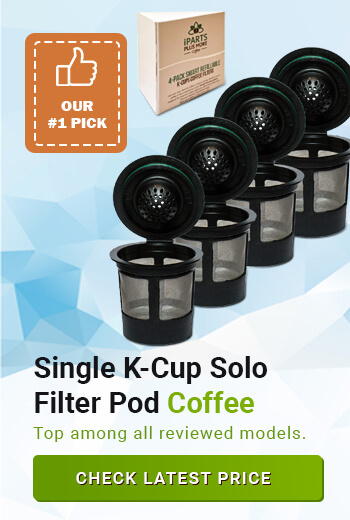 Judging from several online reviews, the Single K-Cup Solo Filter Pod Coffee is the best reusable k cup on the market. Here’s the breakdown of the pros and cons of this item to help you decide if it’s worth your money. 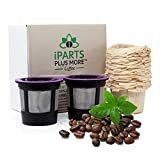 If you want a premium and reliable coffee filters, iPartsPlusMore is one of the best brands in the market. The company is committed to providing products that are everything coffee related, so you’re assured that you’re getting high-quality coffee filters. Forget the plastic coffee filters that easily break. This filter is stainless and can be reused. 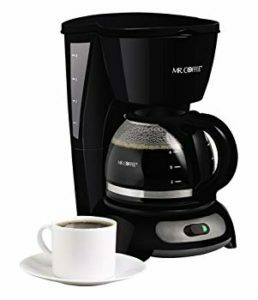 It works well with the Keurig devices like K55, and K50. Plus, it comes with a built-in micromesh filter that is made with non-toxic and BPA-free materials. This pack of 4 reusable single k cup coffee filters is easy to use as it comes as one piece. The lid is already attached and can be popped up quickly. You also don’t need to remove or even swap its filter holder. 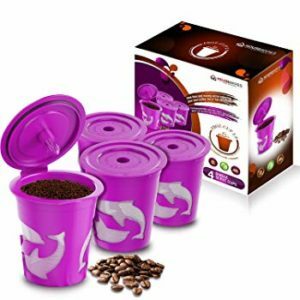 With this product, you can buy your regular coffee and have the convenience of having a couple of cups at a time. You also don’t need to worry about cleaning because it’s designed with bottom filter exits for maximum water dispersion. So get ready to brew in no time! Another negative review states that it sits loosely in the machine and after several uses, the item will start to leak. In summary, the positive reviews of this product overweigh the negatives. It’s no doubt the number one filter you should give a try. It’s also inexpensive so that you can save a lot of money in the long run. 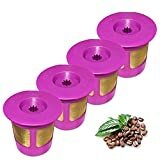 My K-Cup Reusable Coffee Filter takes the second spot on this list for having several great online reviews. Here’s what you need to know about this product. Keurig is a well-known specialty-coffee company that is continuously manufacturing high-quality products. It’s a reliable and crowd-pleasing brand. It is also starting to dominate the coffee-related products in the market. 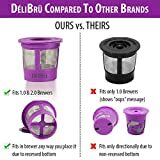 Since the brand Keurig designed this product, all its sizes are compatible with the Keurig devices. It also works with the special edition K45 and K65 and features a better infusion system. This item is also easy to clean. Just rinse it under running water after use and then dry. It's ready to filter again once it dries up! But the best part is that you can get over 1000 coffee fixes or at least 3 cups per day for one year before it will start to get beat up. 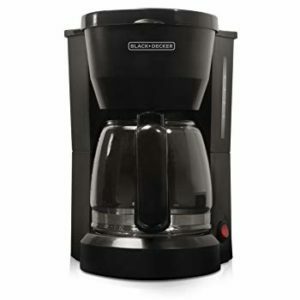 Satisfied customers love this item because the whole thing fits perfectly into the Keurig Brewer. It settles comfortably, and there’s no need for you to make any internal adjustments. But the best part is you can enjoy your coffee instead of the pre-packed cups. It’s quite expensive for one box containing a single coffee filter. Plus, you’ll have to add more to the price if you opt to buy from the official online store. You might also run into some troubleshooting before you can finally make this item work with your machine. This product received 4 out of 5 ratings. That says a lot about what consumers think about the product. It has over three thousand positive reviews, and over six thousand verified purchases online. So, is the My K-Cup Reusable Coffee Filter a good purchase? The answer is YES. The Froz-Cup 2.0 takes the third spot on this list. Here are the pros and cons of this product that will either make you say yay or nay. The brand Housewares Solutions offer various products that will make your life efficient and fun. Plus, the company makes some of the best coffee related products for your daily coffee fix. You can trust this brand not to fail, and you can welcome it to your home without regret. This K-Cup is created with micromesh and stainless steel so you can be sure that it will work great. It is easy to use and designed to function for a long time. Froz-Cup is not just cost-effective, but eco-friendly too. It has a silicone O-Ring lid that can resist high temperatures and built with premium materials. Plus, if you think that it’s not the right filter for you, Amazon.com offers 100% money back guarantee. Happy customers of this product think it’s perfect. Users don’t have to worry about leakage, spillage, and other issues. The Froz-Cup may be a little too pricey for anyone looking for an affordable coffee filter. You’ll have to burn a couple of bucks if you choose to purchase this product. The design of this product might also be an issue for you. 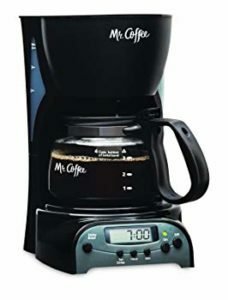 If you don’t like waiting for your coffee to brew, you’ll find this item a pain. It doesn’t have a screen on the bottom, and as a result, it takes way too much time to brew and drips a bit. 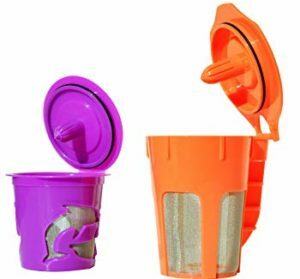 The Froz-Cup 2.0 has received high ratings on Amazon.com and accumulated over one thousand positive reviews online and hundreds of verified purchases. Although it deserves a second look when it comes to quality and price, it’s a great product to try. If you’re feeling skeptic, check out the breakdown of reviews for this item below. The brand iPartsPlusMore is fast becoming famous for producing high-quality coffee filters. 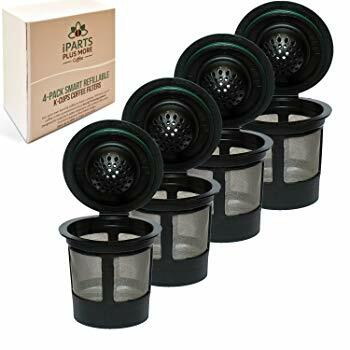 The parts and accessories they offer are made with quality materials and designed to fit most coffee devices. With this product, you can fill and go, as you want. It requires no sticker, clip, or hacks. You can enjoy various coffee or tea brands with it because it’s easy to clean and refillable. The Gold Plated Mesh filters are compatible with most of the Keurig models like K350, B60, and B3000. 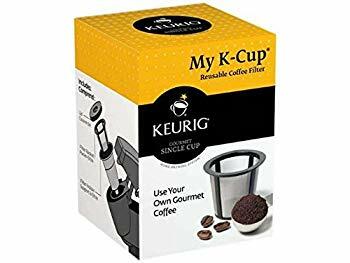 With this refillable K-Cup, you will be able to enjoy your coffee without having to go through a series of errors and modifications with your device. Plus, it is 100% BPA free and eco-friendly! It works well with the K450, cleans easily, cannot be punctured by the needle, and fits perfectly on the device. One of the most significant drawbacks of this product is the too much screen area. There’s too much residue on the bottom making the coffee taste weak. Another problem with this filter is it squirts coffee in all directions. Instead of brewing the coffee straight to the cup, the screen tends to pour the coffee in different directions, which causes mess. Wrapping it up, this product gathered more than four hundred reviews and verified purchase on Amazon.com. Over seventy percent of the reviews are positive and more people gave it a high rating. You might want to do a little more digging about this item, but for its price and quality, it’s not a bad coffee filter at all. This product may be last on this list, but it’s still one of the best refillable coffee filters. Fanor may not be the most popular brand on the market, but it’s fast becoming famous among coffee lovers who want to try great reusable filters at an affordable price. This pack comes with K-cup and carafe sizes made with 100% Food Grade BPA-free material and 18/8 stainless steel filter perfect for any avid coffee drinker. 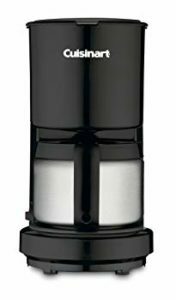 The filters have a unibody design that will allow water to flow, ensure smooth brewing, and eliminate failures dynamically. 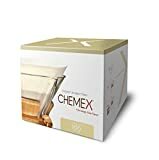 With these coffee filters, you won't have any difficulty swishing the water to get up the ground coffee. Both the small and large coffee filters can hold ample amount of coffee. Plus, who wouldn’t love a dolphin shaped screen, right? These products are dishwasher safe and super easy to clean. The mesh of the filters cannot be punctured as well. The smaller (purple) filter uses plastic hinge that may cause it to snap off eventually. The flap of the bigger (orange) filter is also delicate and might easily break after several uses. Sometimes the K500 rejects the purple filter. You might have to open the top, lift the filter, rotate, and put back again a few times before the device will recognize the product. Wrapping it up, despite the minor bumps with the hinges, the two filters are awesome and will make K500 and other Keurig devices more versatile. They’re also pretty cheap. First, you know you’re going to save money. A box of single-use pods costs around $10, and they will last for only a week. 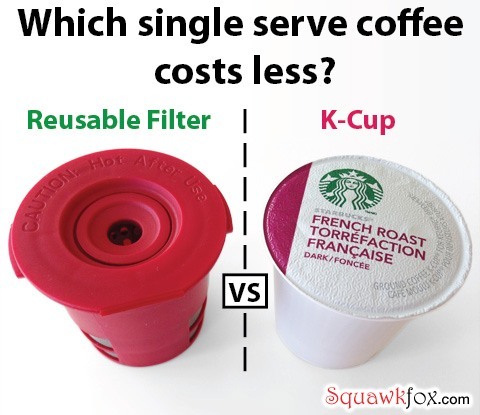 On the other hand, reusable filters cost about the same price but are useful for at least one year. Single-use pods also tend to make the taste of coffee stale and sometimes bitter compared to the reusable filters. If you have a favorite coffee brand and knows its taste, you’ll realize that pods are unpleasant. Reusable coffee filters are not just essential to making good coffee, but they are great for the environment as well. They are recyclable and biodegradable (Source). Purchasing eco-friendly filters will help you become responsible for making your community cleaner and safer. The fact that nothing beats fresh ground coffee is also one reason why you should shift to using reusable filters. The single-use pods contain ground coffee that’s been sitting there for a while. Although it uses vacuum sealing technology, it doesn’t give the exact same experience you can get from fresh beans. If you love coffee, it’s high time to switch to reusable coffee filters. These 5 are the best on the market today, but if you absolutely need to choose only one, you can’t go wrong with the bestselling Solo Filter Pod Stainless Mesh from iPartsPlusMore (Source). Do K-Cups Expire: How Long Do They Last?